Likewise all of Stanford’s characters are robust and real and sometimes raw. Stanford doesn’t hold back. Some of the scenes are edgy and some are more than a little provocative. Tajo isn’t a perfect character and the things he does—although done for love—make him more appealing because sometimes good people do bad things and bad people do good things. Tajo does both. Stanford gets this and that is why Tajo, along with his fabulous supporting cast, is such a terrific teen character, so believable with his old-soul, wise-cracking, kid-cussing ways. Clearly, Stanford gets teenagers and is fluid in their speak. Thanks so much for the terrific review! 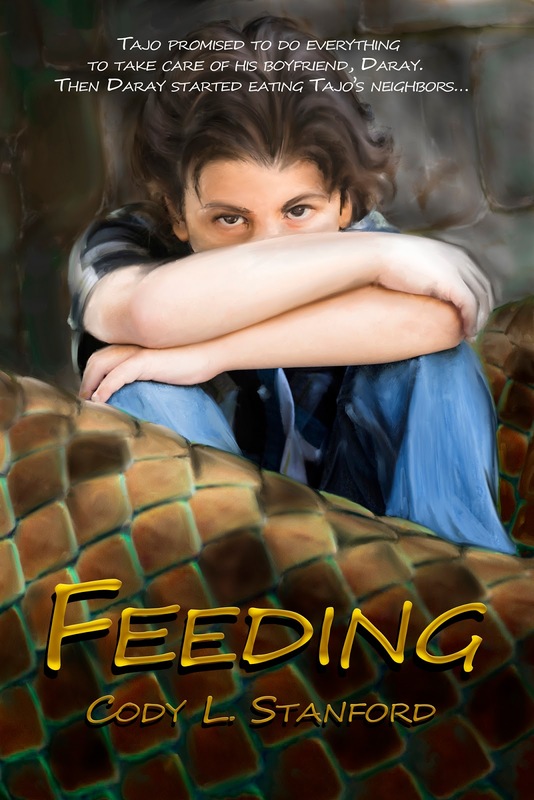 You can get Feeding for yourself and read the first three chapters here!